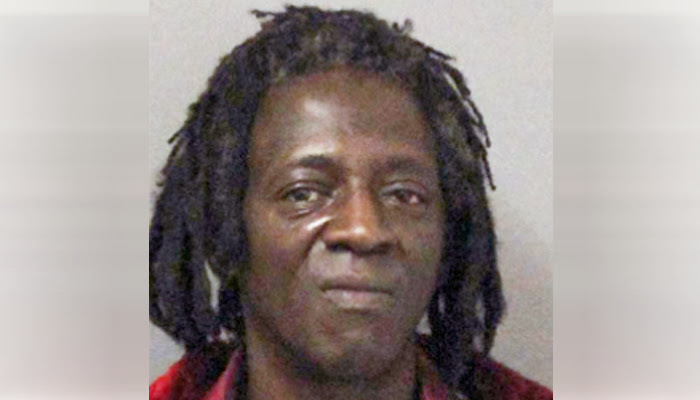 Crackhead and woman beater Flavor Flav was arrested in Long Island, NY this morning for speeding and having a suspended license. According to police, the 54-year-old, whose real name is William Jonathan Drayton Jr. was pulled over by cops for going 79 mph in a 55 mph zone in his black Hyundai. Upon checking the his license, police said they found it had 16 suspensions. He was also carrying a small amount of marijuana. He was arrested and charged with felony aggravated unlicensed operation and also received unspecified traffic tickets, but was released on an appearance ticket so he could attend his mother’s funeral. He's due in court Jan. 28.